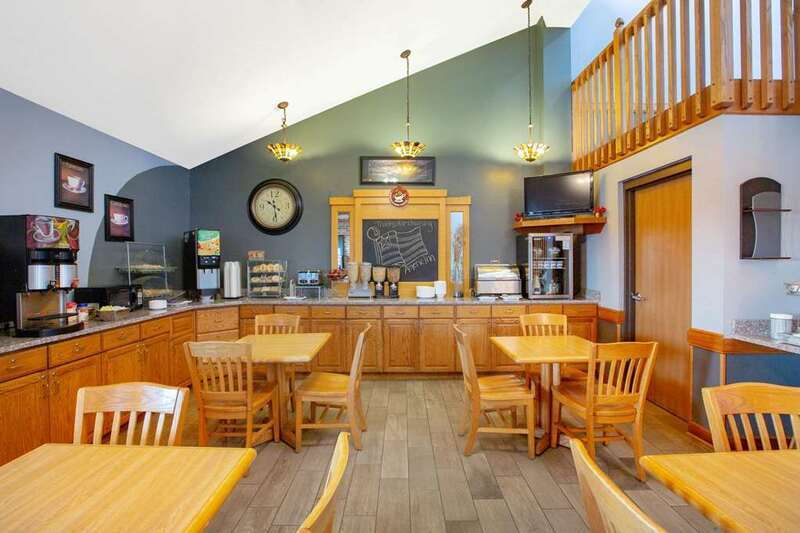 Hawkeye fans and road trippers love the homestyle comfort of AmericInn Lodge and Suites Coralville. We are located off I-80 just a short drive from the University of Iowa-and its Division 1 football team, the Hawkeyes and Kinnick Stadium. Nearby companies include aviation company Rockwell Collins, Integrated DNA Technologies, and Higher Learning. Top-notch healthcare options such as the University of Iowa Hospital, Stead Family Childrens Hospital and Iowa City Veterans Administrations Health Care System are just minutes away.